Dandeli wildlife sanctuary has homed about 250 species of birds. 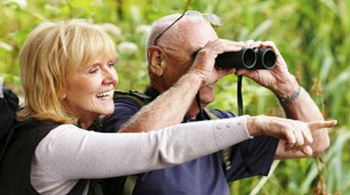 Early morning is the best time to go out for bird watching. Most of the resorts in Dandeli provide you binocular and a guide for every batch of bird watchers, who are going to help you in this matter.